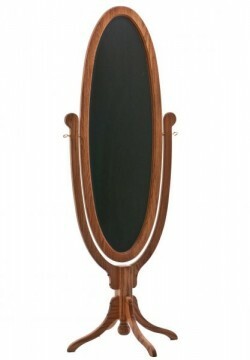 While consumers can find any number of inexpensive, poorly constructed wall mirrors, it’s rare to find a well-built, full-length, standing mirror available for purchase. Amish Originals Furniture Co., located in historic Uptown Westerville, Ohio has a number of stylish mirror designs available for these hard-to-find items. 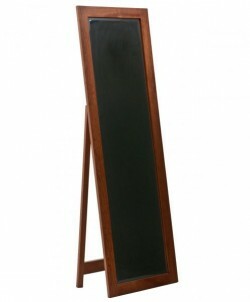 Like almost all of our furniture, our mirrors are hand built by Ohio’s fine Amish furniture craftsmen. 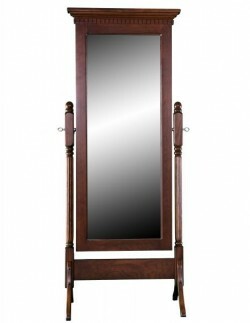 Using only responsibly harvested, solid American hardwoods like Cherry, Maple, Red Oak and Quarter Sawn White Oak, each mirror is built to your individual specifications. Size, stain color, and wood species can all be customized—ensuring that your mirror will be the perfect fit for your home. 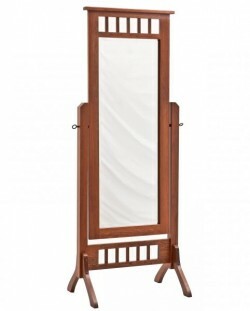 An excellent gift for new homeowners or newlyweds, a full-length, standing mirror can add a touch of elegance while undoubtedly serving a practical purpose as well. Quality construction and timeless style guarantee that mirror from Amish Originals will remain in the family for generations to come. To learn more, stop by our showroom or call for a quote; one of our skilled sales associates will be happy to help you select a mirror that will grace your home for years to come.